I have been talking about it for years. Watched as many online videos, and Michigan Out of Doors episodes, as I could find. Drew up the plans in my mind. Even got some gear from my Dad. 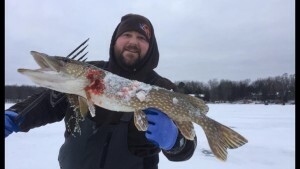 I had the bug, but had never actually been Pike Spearing. Well 2017 on the ice was going to be different! And it was. Jesse Burnham and I decided to dust off the fishing gear last month, and go out to a panfish honey hole for some bluegill fillets. We started that Saturday afternoon at about 2:00 pm on the ice. We set 4 tip-ups with shiners for Northern Pike, and the proceeded to fish for the gills. After about 2 hours, we had a handful of nice pannies on the ice, and 3 missed tip ups. We weren’t having the luck on the Pike we wanted….so I said “Well we can always spear?”. As soon as I said that, a flag went up! We ran over, fought the fish to the hole, and lost him. Another miss. 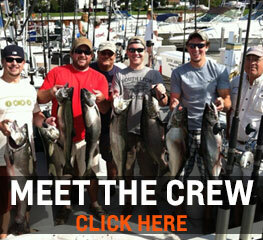 We were not looking like very proficient ice fishermen at that exact moment…. We decided right then we were going to spear, and right there is where we were going to do it. In 5 FOW (feet of water/depth). 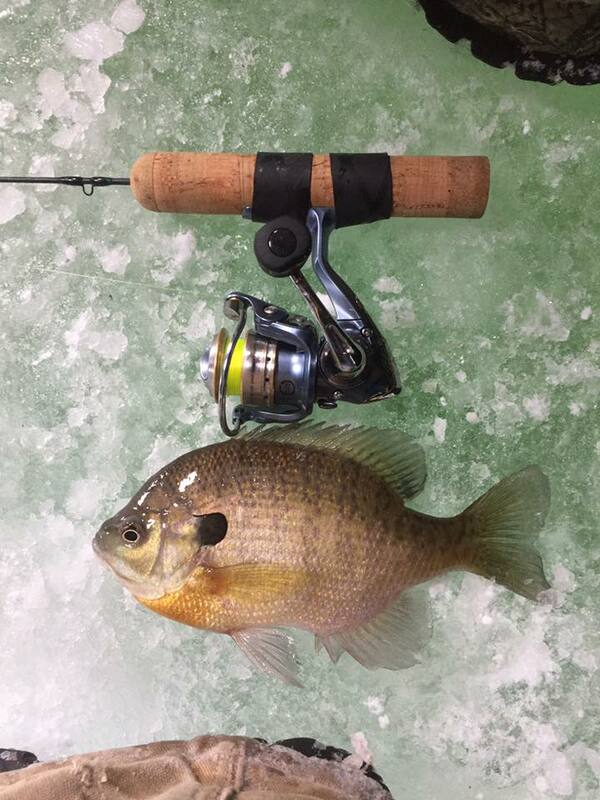 We put away the jigging rods, left a couple tip ups out, and started cutting a large hole in the ice. Since I do not own an ice saw, we use my drill auger setup and drilled some holes. A lot of holes to be exact. It actually works very good. 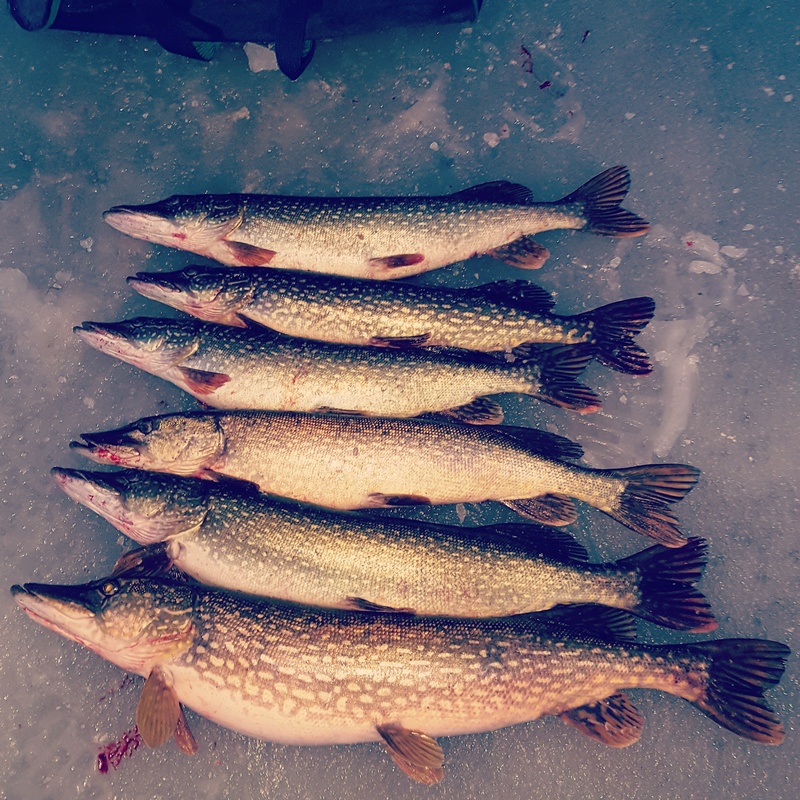 Once we had our spearing hole cleared out, we flipped over my two man Clam Nanook shanty, and dropped the red and white 12″ Pike decoy my Dad had given me, into our hole. To spear a Pike is similar to hunting a deer. You need to bring the fish into your effective range by jigging a decoy or bait. Once the target is within range, you can jab the spear downward. As soon as that decoy drifted down a couple feet, the decoy was nose to nose with a nice sized legal Pike(24″ long). The problem was, the guard on the spear was still tied on! I rushed to untie the point guard, get the retrieval rope ready and try to launch at this fish….but it was too late and he casually swam off. Jesse and I were excited. After 5 more minutes of screwing around, we were setup. We ended up seeing 2-3 more fish in that hour, which is a pretty good rate. I actually ended up missing my first throw ever, as the spear went low while Mr. Pike was turning to leave the decoy. Now it was Jesse’s turn to throw. After about another 30 minutes, in came yet another legal sized Pike. He came in from behind us, right under our feet. All I saw was his nose, and started quietly making Jesse aware. As I slowly raised the decoy up towards the surface, Jesse slipped the tips of the spear into the icy water. 2 seconds later, he threw! Down went the pike and spear into the bottom with the weeds. As Jesse horsed the spear upward, the Pike actually came off the barbs. We quickly threw the spear once more and hit him again. As you can imagine, it was a madhouse inside the shanty at this point. 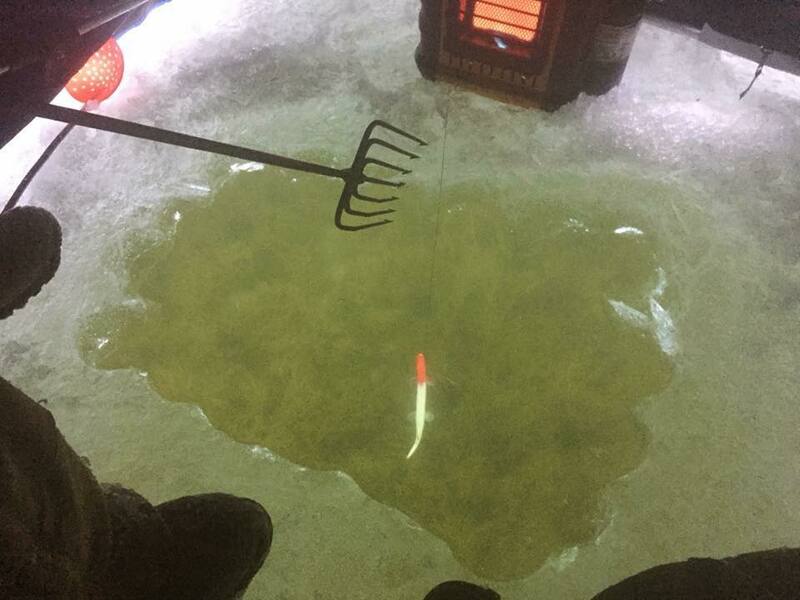 We flipped over the shanty and tossed the fish onto the ice. It was time to celebrate!! 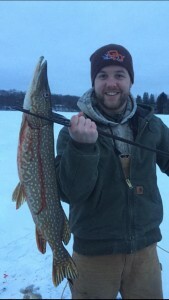 Jesse speared our first Pike ever, and it ended up being a great 28″ Northern. After some celebratory high fives and hoots, we quickly got back into our seats, flipped over the shanty, and were setup again. We were in the zone now, and the spear was back in my hands again. It was time for redemption. 15 minutes later, I see another Pike nose to my 9:00. An even larger fish was sneaking in slowly to our decoy setup. I slipped the spear through the surface of the lake, while Jesse raised the decoy. This hog didn’t like our strategy at all, and turned to swim under our feet. I immediately thrust the heavy iron weapon downward and felt contact. He was hit good, right behind the head….but was fighting us on the rope. I slowly retrieved the rope while Jesse flipped the shanty open. We eased him up this time, careful not to lose him off the spear. This intense moment ended when I tossed the fish up onto the ice! We celebrated once again, as we were officially Pike Spearers! Over the last hour of daylight, we didn’t see any more fish. That didn’t matter; today was already a success. We drank a few cold ones, as we spent our dusk reminiscing of what had just happened and the delicious meals we had ahead of us. Thank you for reading! I have included below some of the Pike Spearing videos I have watched in the past, that helped get the bug in me. If you haven’t tried it yet, please do so! 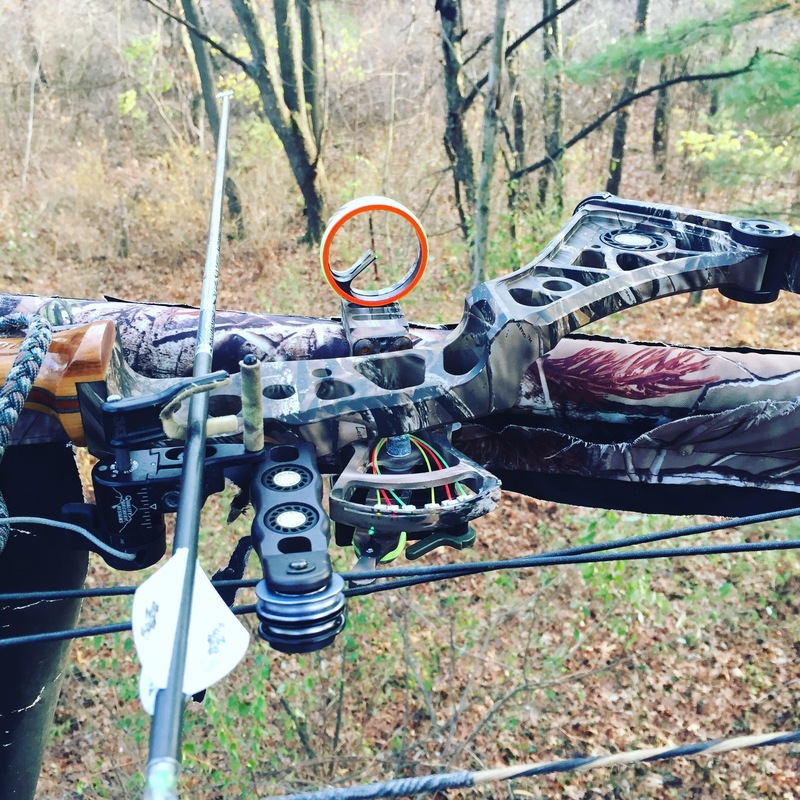 It is a lot like bow hunting. Drew Van Hees from Outdoor Devotion and his two buddies Corey and Tyler…..LIMITING OUT on Northern Pike! These boys caught some giant pike. Poor man’s lobster is what we call it here at OD. Great eating! They caught them on tip-ups using shiners in 30 FOW. Jigging was also a technique they tried, but it did not work at all compared to the tip-ups. The season is 2/3’s done and we have some great footage. Stay tuned! Thank you very much for watching and supporting OD. THE RUT IS HERE! Well the rut is, or almost is upon us, depending on who you ask. Let’s take a look back, to get fired up for this November. Here is a video from November 8, 2015. 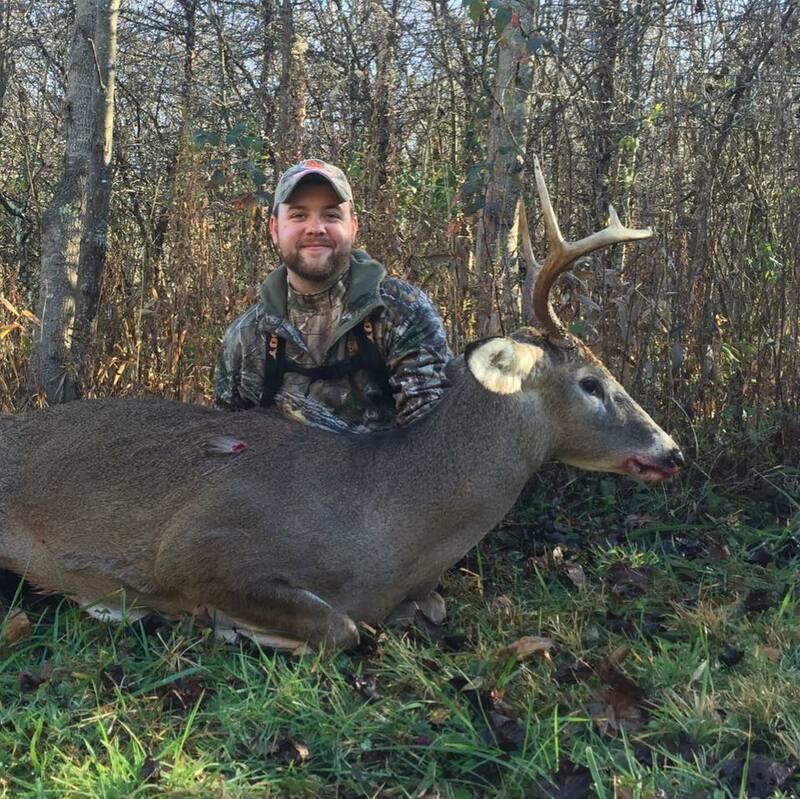 Jared Van Hees of Outdoor Devotion grunts in a great buck during his final morning hunt in Southern Ohio. Don’t forget to hit Facebook (link on the left side of this page) and please give us a LIKE! Thank you for watching.